The Article: Where The Sun Don’t Shine by Paul D Thacker in Slate. At the time, I was a staffer on the Senate Finance Committee for Republican Charles Grassley and couldn’t help but laugh. No one knows this better than John Kiriakou, the CIA agent who reported to federal prison two weeks ago for blowing the whistle on the agency’s use of torture. During an interview at an Arlington, Va., coffee shop, Kiriakou said the time has come for Washington watchdog groups—organizations like Public Citizen, Project on Government Oversight, Citizens for Responsibility and Ethics in Washington, and others—to admit that President Obama hasn’t come close to making good on his promise to make government more transparent and accountable. Indeed. Soon after he was sworn into office, Obama appointed an “ethics czar” named Norm Eisen, a successful attorney, who had been one of the president’s classmates at Harvard Law School and later became a major fundraiser to his campaign. Eisen was likely handed the ethics portfolio for a specific reason: He was steeped in the world of Washington watchdogs. (Eisen is one of the co-founders of Citizens for Responsibility and Ethics in Washington, or CREW.) With Eisen on board, the administration was able to make cosmetic changes and neutralize harsh disapproval with a classic Washington maneuver—inviting potential critics to the White House for meetings. The administration understood that many of these groups would be satisfied by getting meetings with the ethics czar, and would calculate that if they became too critical of the president that their newfound “access” would be in peril. So the watchdogs have scampered up to the White House time and again, hopeful that maybe with the next election, the next initiative, maybe even the next meeting, something would change. The most absurd example came a couple years ago when a group of Washington watchdogs went to the White House to give the president a “transparency” award, and the president refused to accept the award in public. The meeting wasn’t even listed on the president’s public schedule. The watchdogs shouldn’t be fooled so easily. In March 2010, the Associated Press found that, under Obama, 17 major agencies were 50 percent more likely to deny FOIA requests than under Bush. The following year, the presidents of two journalism societies— Association of Health Care Journalists and Society of Professional Journalists—called out President Obama for muzzling scientists in much the same way President Bush had. Last September, Bloomberg News tested Obama’s pledge by filing FOIA requests for the 2011 travel records of top officials at 57 agencies. Only about half responded. In fact, this president has prosecuted more whistleblowers under the Espionage Act than all prior administrations combined. 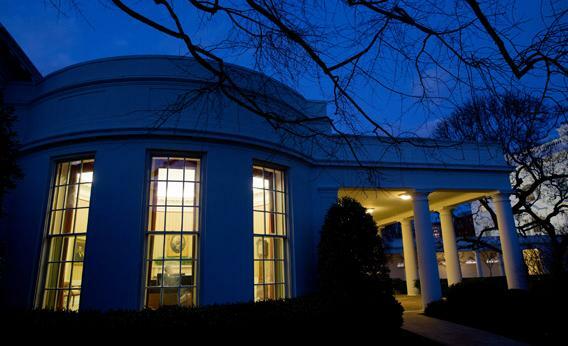 And an analysis released Monday by the Associated Press found that the administration censored more FOIA requests on national security grounds last year than in any other year since President Obama took office. One of the most glaring examples of Obama’s failure on transparency is his response to the “Fast and Furious” fiasco—the botched attempt by the Bureau of Alcohol, Tobacco, Firearms, and Explosives to find Mexican drug lords by tracking guns smuggled from the United States into Mexico. The debacle came to light when ATF whistleblowers met with investigators working for Sen. Grassley. Grassley sent a letter to the Department of Justice demanding answers; not realizing Grassley already had documents that laid out the operation, officials at Justice responded with false and misleading information that violated federal law. When Grassley pressed the issue, the Justice Department retracted its initial response but refused to say anything more, which has resulted in multiple hearings and subpoenas. The storyline is classic Washington: Whistleblowers run to Congress about bad behavior; Congress demands answers; the White House throws up a wall. But where is the outrage, especially from the very groups who are supposed to be holding the government accountable? It doesn’t exist. Writing about Fast and Furious for the Huffington Post, Danielle Brian of the Project on Government Oversight mused whether the entire inquiry being led by Republicans was merely “partisanship” run amok. Wouldn’t it have been more logical for her to ask why Democrats hadn’t joined Republicans in demanding that the White House respond? Such a poor grasp of the facts could be caused by the involvement of Rep. Darrell Issa, who was ordered years ago by the Republican leadership to turn the House Committee on Oversight and Government Reform into a war machine against the White House. However, in this case, Issa was in the right. As the administration continued to insist they had no involvement or knowledge of the ATF program, Issa released several Fast and Furious wiretap applications with signatures of top Justice Department officials. Rather than attacking the administration’s stonewalling, Melanie Sloan, the executive director of Citizens for Responsibility and Ethics in Washington, attacked Rep. Issa for releasing the sealed documents. Never mind that every investigative committee releases sealed documents. (I cannot tell you how many times my Senate Finance Committee colleagues and I released documents that were under seal.) It’s how Congress functions and does its job. However, CREW’s close ties to ethics czar Eisen might explain why Sloan was so quick to go on the partisan attack. Most Americans don’t care about arcane legal battles over separation of powers between the White House and Congress. On election night, it was obvious that the issue had not resonated outside right-wing media circles. When it became clear that Obama was going to win, an employee with one of Washington’s watchdogs tweeted, “Now am I allowed to criticize Obama on drones & assassination & military commissions & secret memos expanding secret surveillance powers? ?” Maybe it’s a bad joke, but the implication is that she and her cohort had been withholding criticism of the president until it became clear that he had beaten Mitt Romney. Only Fox News covered the matter. The occasion is not yet ripe for many in Washington to admit that the Obama administration is no different from those who have come before it. But time will come when the cognitive dissonance between what Obama says and what he does will be too much. “We should judge him by his actions,” Kiriakou says. Hopefully, it won’t take another four years. It used to be that weirdos like me had to go searching for proof of the conspiracy theories I’d heard about. Now the proof is everywhere all around us out in the open and everyone’s good with it. So long as they can still use their iPhones and nothing upsets their virtual reality games.